Come and experience our new Comforts of Home 53 Bedding Collection.The Candlewood Suites Houston by the Galleria Hotel, is you best choice for alternative corporate housing, temporary housing and extended stays. We have easy access to Houston's Downtown business district, Galleria business district and the Greenway Plaza. Our suites, big and built for comfort, are the ultimate accommodations for business travelers. Each suite has a full kitchen complete with microwave and full size refrigerator with ice maker. Work efficiently at your oversized executive desk with two separate phone lines and free high-speed Internet access. Relax in the overstuffed recliner while you enjoy the CD player or watch a DVD from our free video and CD library. Work off some stress in our fitness center or visit our Candlewood Cupboard. You can purchase meals, snacks and sundry items at value prices. We&regre a pet friendly hotel too (fees apply). 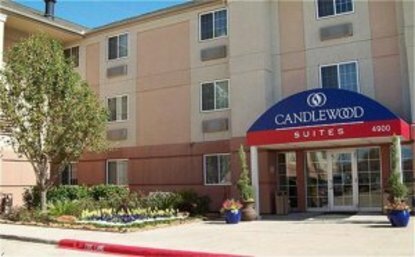 The Candlewood Suites Houston by the Galleria Hotel is located less than half a mile south of the Galleria - One mile from Greenway Plaza and three miles from Reliant Park. This hotel is committed to providing accessible facilities under the American Disabilities Act. If your accessibility needs are not met, please contact the Hotel Manager on Duty. Should you require additional information regarding accessible facilities for guests with disabilities, please call 1-800-Holiday (U.S. and Canada) or contact the hotel directly. For the hearing impaired, TDD service is available at 1-800-238-5544 within the U.S. and Canada.